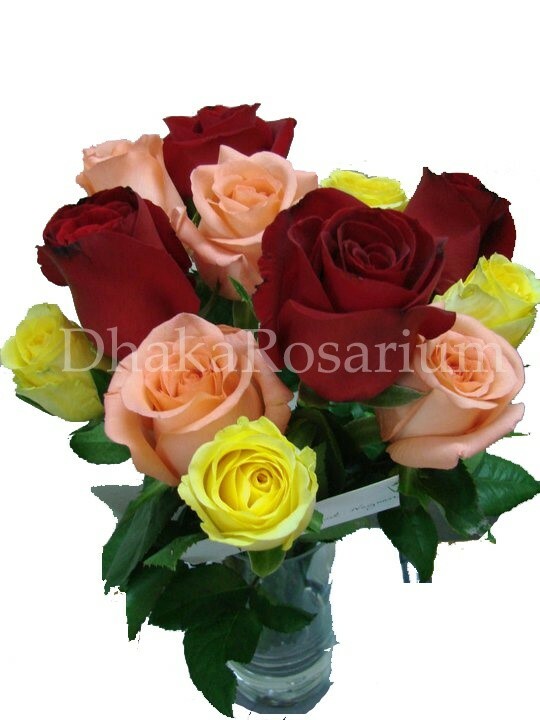 A dazzling assortment of a dozen medium stem mixed colour roses are beautifully arranged and delivered in a clear glass vase. A wonderful way to remind them just how much you care! 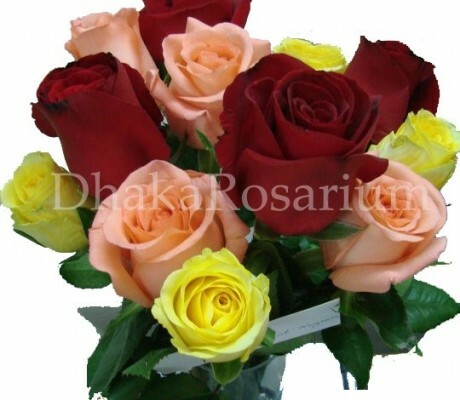 Mixed Colourful (Red, Pink and Yellow) Chinese roses are delivered in a clear glass vase accented with a colourful ribbon.